With the holiday season coming upon us later this month we here at MARFC send out a “Very Merry Christmas” and a “Happy New Year” to all of our members across the state and country. May God Bless and keep us all safe through out this holiday season. With the state that the economy is in and heading we need to pray that things will turn around soon. 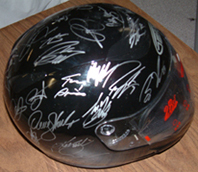 There will be many new changes in our racing community in the 2009 season. With some tracks hurting badly this season they will find it hard to return next year and run a full schedule if they run at all. But, on the other hand there are a few good changes that were made earlier this year that will help make 2009 better. With Owosso & Dixie under new management and the sale of Springport to a gentleman who intends to make major improvements to the facility to make racing even better there. We here at MARFC wish all who are making changes for next season well and pray that we all will find great and outstanding racing in 2009. So keep your fingers crossed and we will see you at the races. It is also time to renew your membership for 2009. In order save the club mailing costs we will be removing members who have not renewed as of our February newsletter so make sure you get your renewal in ASAP. What a great night we had with a nearly packed house on hand to see all the old Motor City Speedway photos and items on display. 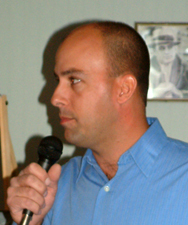 First guest speaker on hand was the Toledo Speedway Sportsman Champion for 2008 Jim Froling. Jim told everyone about where he started racing and all about the Wolverine Racing Team that he drives for currently. 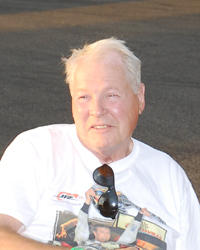 Jim has raced karts, Street Stocks, Late Models Sportsman through out his racing career. He looks forward to the 2009 season with hopes the economy will turn around by race time. Originally we were to have Ken Zeiter and Skeeter Ross as our other guest speakers but, unfortunately Ken Zeiter had shoulder surgery just a week before the meeting and Skeeter Ross was under the weather with an inner ear infection so they couldn’t attend the meeting. 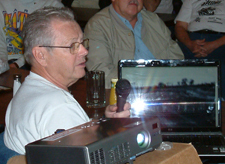 Then Steve Wolski gave a power point presentation with nearly a 100 photos from the start to the end on the Motor City Speedway. He did a great job and had many other posters and original items from the speedway for all to see. After a short break the legendary Joy Fair told us on a few of his stories from Motor City as well as others about his racing career. November is the month that we celebrate Thanksgiving! So we must remember to give thanks to those who serve and protect us here at home and across the world. Our service men and women are doing a fine job keeping us safe and giving us the freedom to enjoy the sport we all love. So please stop and say a prayer for their safe return. Please don’t forget to RSVP for our Children’s Christmas Party as we need to know how many will be attending so we have enough gifts & food on hand. 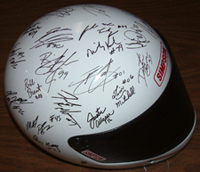 Our 43rd Annual Awards Banquet is scheduled for January 17, 2009. Tickets are now on hand. Some of our top awards are as follows: MARFC/Eddie Sachs Memorial Lifetime Achievement Award winner for 2008 is Paul Page veteran sportscaster and racer with many years will be on hand that evening. Writer of the Year is local journalist Darcie Fuzi who now has articles in the National Speed Sport News. The MARFC Presidents award will go to an outstanding Michigan Native who had excelled in our sport Brad Keselowski. Cool temperatures with clear blue skies on hand for our VIP tour of M.I.S. in the Irish Hill’s of Michigan. For all those who attended this event it was a very informative time. MIS PR Director Dennis Worden along with his tram driver Terry did an outstanding job explaining all about the new changes the speedway will under take in the near feature as well as seeing the new improvements that the speedway has already made over the last couple of years. It was also great the have volunteer veterans of 26 years at the speedway Larry & Ann Kast on hand to tell everyone what they do on race weekends. 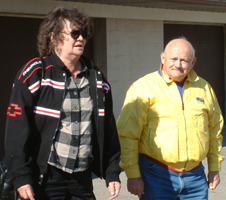 Larry & Ann have been club members for many years. We closed out our meeting inside the Champions Suites high above the speedway where we drew the winning MARFC Fund-raiser raffle prize winners. Thanks to all who supported our club this year! We appreciate all you members have done to help keep our club continuing into the future. Once again thank you to Dennis Worden & M.I.S. for arranging the tour. As most Championships are finished and new Champions are crowned we get set for the September feast of special shows across the state, There are plenty to choose from with every style venue of racing. So if you get the chance take in one or two of these great racing shows, be sure to tell the promoters thanks for putting them on. I say this because Michigan is the best place to see some of the best short track racing in the country. I know that it has been hard for promoters, racers and fans this season but, I’d like to tell each and everyone who attended races this year Thank You for your support of our sport. To all the MARFC membership tracks & promoters we here send our deepest THANKS for all you have done for our club. Your support has been outstanding in these hard financial times and we sincerely appreciate all you do for us and our sport. 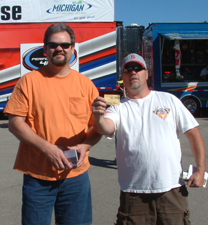 Thank You to the following MARFC Membership tracks: Auto City Speedway, Berlin Raceway, Cherry Speedway, Crystal Motor Speedway, Flat Rock Speedway, Galesburg Speedway, I-96 Speedway, Kalamazoo Speedway, Kinross Speedpark, Merritt Speedway, Mt. 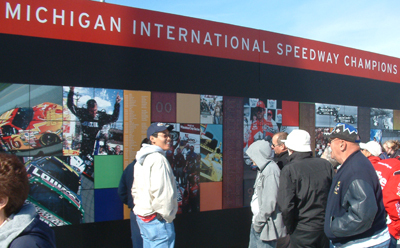 Pleasant Speedway, Michigan International Speedway, Spartan Speedway, Springport Motor Speedway and Toledo Speedway. KINROSS SPEEDPARK: A great night of racing was on tap at the Speedpark but track officials had problems at the last minute with qualifying timing and race time was delayed for a bit. With time a factor our MARFC/Uniform Helmet bag was not presented on this night but, would be given at a later date. A big Thanks to Gerry Liscumb and the staff of Kinross for a fast paced race night. 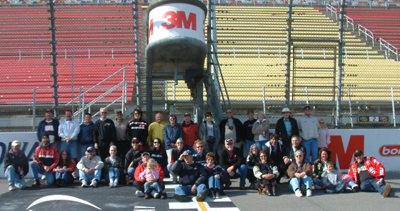 Very clear & warm weather was on tap for our annual outing to MIS for 2008. Seen a few members there enjoying the day’s events with practice & qualifying! Special thanks to Roger Curtis & Dennis Worden and the staff at MIS for having us back once again. Rainy afternoon and early evening made it a hard night for racing. Our staff had to pack it in early because of the rain but, the staff of the Raceway worked hard to dry the track and continue the night’s events. 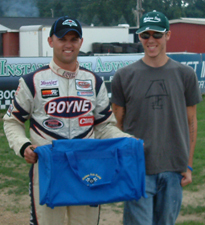 Our MARFC/Uniform Helmet Bag was given to Late Model driver Terry Van Haitsma for setting fast time for the night. Many thanks to Mike Strevel and the entire staff for having us!